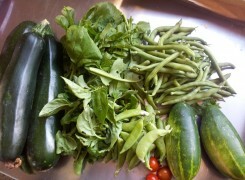 Zucchini, beans, basil, peas, cucumber, rocket and few little tomatoes. What more could you want. 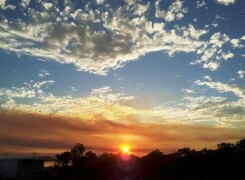 There is still lots of smoke around from the bushfires which make for eerily beautiful sunsets.